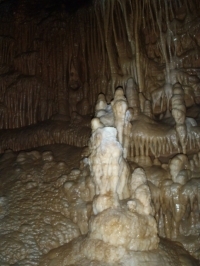 The MSS is a not-for profit organization of individuals and groups who are engaged in study and research on caves and karst features in Missouri. The Survey supports research and promotes cave conservation throughout the state. To further these purposes the Survey publishes journals, maps,and catalogues on the cave resources of the state. Funds for operations comes from the memeberships, affiliation fees, publications and from grants and gifts. The most descriptive term to describe the activities of the MSS would be “cooperative” in which many people cooperate with each other for a common goal – the study of caves in Missouri. Many grotto members are members of the MSS and/or the ISS.